The 'Smart Shipping Calculator' is a basic freight calculator that can be added to any webpage to provide 'real time' price quotes for buyers. Buyers simply need to enter their delivery postcode/suburb to receive a freight price quote from your site. We've made it easy to utilise this solution and you don't need any developer experience! 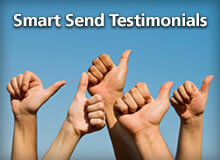 You can have Smart Send freight pricing appearing on your website's pages within minutes. Just follow the 'builder' steps below! 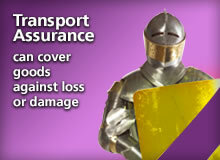 Do you require the calculator for domestic or international deliveries? Enter the details of your package in the builder below, along with any options you want to set. Then press the 'Build Calculator' button to see your calculator on screen. The values you specify here will act as defaults and the user won't be able to change them. If you want the user to be able to edit these fields, don't specify them! No Yes Allow the user to set whether they would like receipted delivery? Yes - At Pickup Yes - At Delivery Yes - At Pickup and Delivery Allow the user to set whether they would like a tail-lift truck? You can also specify a markup value that will be added to any quote. Buyers will not be made aware of any markup in the quote displayed. * If you would like 'real-time' freight pricing to appear in your website's checkout/shopping cart you should use the more advanced free 'Smart API' solution. Your calculator is displayed below. Please test it and make sure it is okay. 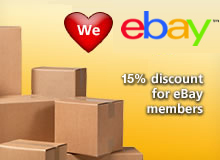 When listing on eBay choose the 'Freight-Large & Bulky Items' option from the "Domestic Postage" option. Copy the widget code provided above and paste it into your eBay listing's "HTML Description" section. To save the calculator please log into your account below. If you're not a Smart Send VIP customer but you do send more than 5 shipments every month, contact us here & ask to become a Smart VIP customer. 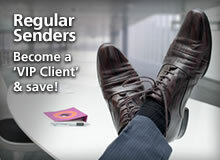 You could receive further savings, plus you can save your templates for re-use again and again!